I want to control a lamp with Raspberry Pi and a relay. However, I want a single power line to provide power for Raspberry Pi and the lamp. How can I do that? In other words, I want to construct a WiFi lamp with Raspberry Pi, a relay, and a lamp. Safer to use one of these https://energenie4u.co.uk/catalogue/cat ... ccessories to do the work. If this is a table lamp and you have access to both the UNSWITCHED active and neutral wires, then you can splice in a small power supply to supply the RPI. The RPI relay then switches downstream of the power supply mains input. As said by others, make sure its an appropriate power supply and the mains wiring is done safely and correctly. If its a built in ceiling light and wall switch then it gets complicated. Often (but not always) the wall switch just has the active wire and no neutral wire. In these situations its impossible to feed a standard power supply with running a neutral wire to the wall switch location. The neutral wire is found at the light socket, but to save cost, its rarely run down the wall to the switch. Parasitic power supplies and HA smart wall switches are emerging, that will operate on just the active wire. But building one is a very complex task. Consider using a WiFi or Phillips Hue style smart Bulb, and talking to it from the RPI directly or via IFTTT. ..the only thing worse than a stupid question is a question not asked. "European Remote Controlled Sockets with Pi-mote" seems interesting. Is there a WiFi bulb that's not locked to a specific vendor software? so spend a fraction of the cost of a 240v ac safe Pi case psu grommets etc needed to make your oringinal proposal safe on 1 x smart socket. reflash it, host a mqtt broker on your pi and then use any mqtt interface for easy control, use node-red and the alexa-local node for hassle free local alexa control etc.. I do not want to reflash a device. Is there a WiFi bulb that I can control without a special vendor software and without reflashing? not as far as i am aware..
using the arduino ide, platform-i0/atom, or visual code etc.. But there is a lot more work involved doing that. If such a module supports 802.11ax, I'm willing to learn how to program ESP8266. 802.11n and 802.11ac are not great for IoT devices. and your router will need an upgrade. A lot of IOT is quite usable today without the extra features. On the security side I would worry more about bad programming practices on many commercial IoT devices rather than the raw Wifi networking protocols. if wifi security is such a concern? Perhaps consider looking at alternative wireless protocols, bluetooth, RF, IR etc..
its just that the wifi/smart device route is currently a very easy s/w only solution. And loading an open source f/w will mitigate ALL the real world remote (data mining?) server risks involved with commercially developed cloud based apps. Flashing software is relatively straightforward. The real challenge is making physical connections. 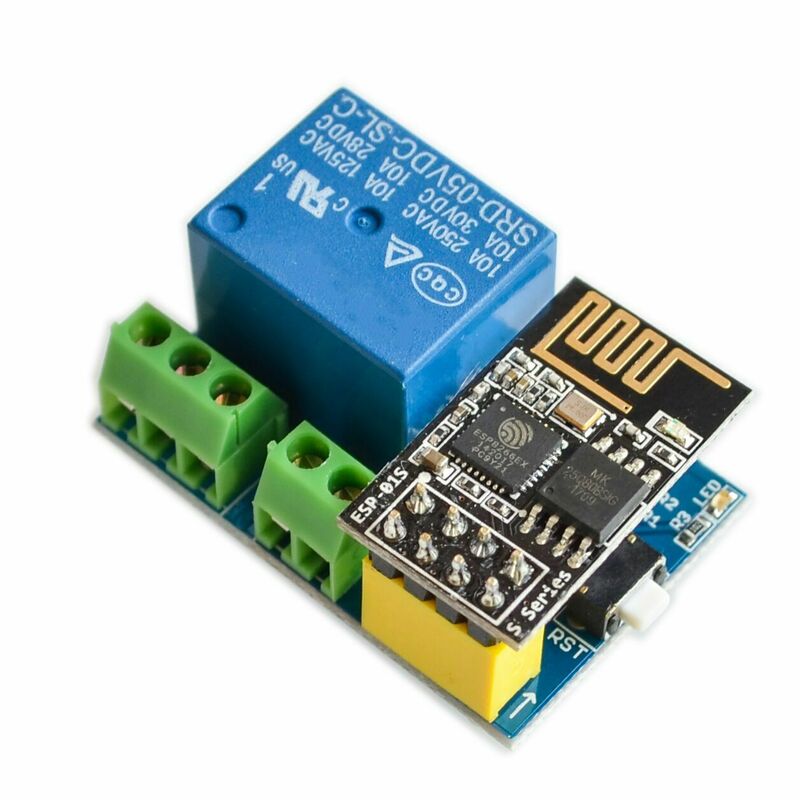 The relay requires 5V power input and intercepts a power line. I don't know how to make physical conections without making a mess. This seems to require two power outlets unless I know how to put a power strip and the relay in a miniaturized plastic container. This is far beyond my expertise.